A fax cover sheet is the document or page that is sent to a recipient before the actual fax transmission. The fax cover sheet, also commonly referred to as the fax cover page, contains information about the faxed document following it. These fax cover sheet templates, available below for download, will guide you on how to create your own fax cover sheet, so you can send a fax to anyone with a fax cover sheet and avoid confusing them. 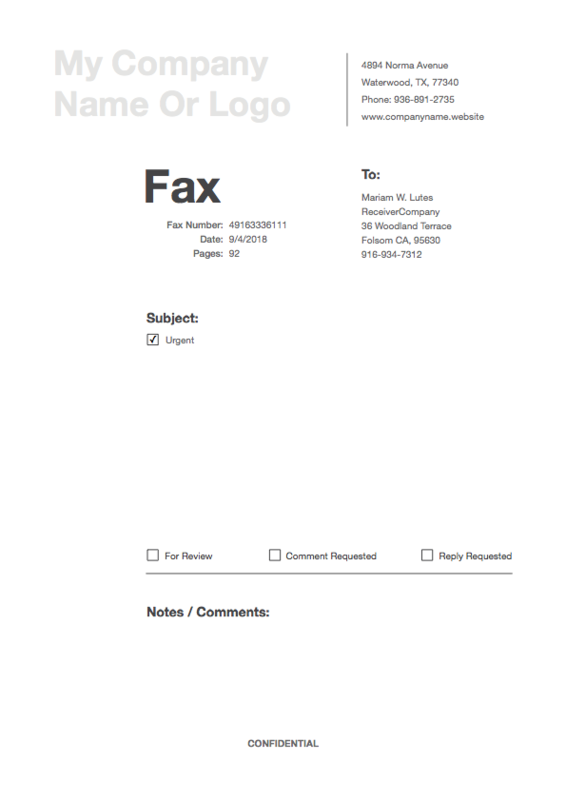 A fax cover page is completely optional, but is often recommended as it informs the recipient about what the incoming fax transmission is about and what they need to do with it. You can download our free fax cover templates below and use them for your own work, or create your own fax cover sheet by referring to these fax cover page templates. Let's take a look at what should be included in a fax cover sheet. You can edit the PDF using PDF Expert, the best PDF Editor app for Mac. Using PDF Expert, you can add your own details and use this fax cover sheet design for your own needs.